It's a new year 2016, some of us would be wondering what this year's fashion trends would be.. Of course we remember the fashion trends of last year.. I leave that to you to mention in the comment box. Look at those mouthwatering designs.. There will be a lot of trends this year from TFA, I can see that. For the love of jumpsuits, that is a lovely jumpsuit with those details at the neck. The plain and patterned skirt worn by the 3rd model is lovely and unique. Casual look trend alert.. Our indigenous Ankara fabric.. All black with a pop of ankara jacket or blazer or kimono.. You got it. That gown is so lovely and unique. The Ankara combination is on point. All the owambe lovers, here it is..
Every woman loves a pop of colour.. 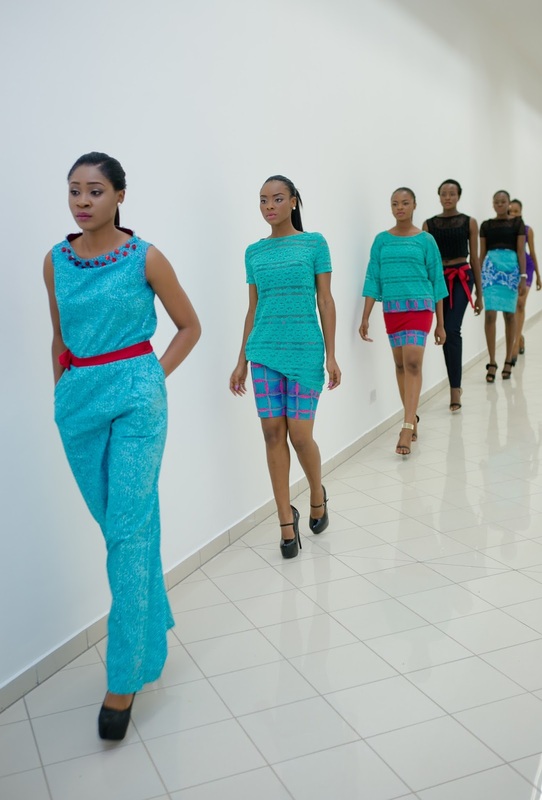 Remember all these designs are available for you at the Fashion Academy, Abuja. Also if you want to learn how to design these lovely outfits above. JUST CALL 0818 321 2885.